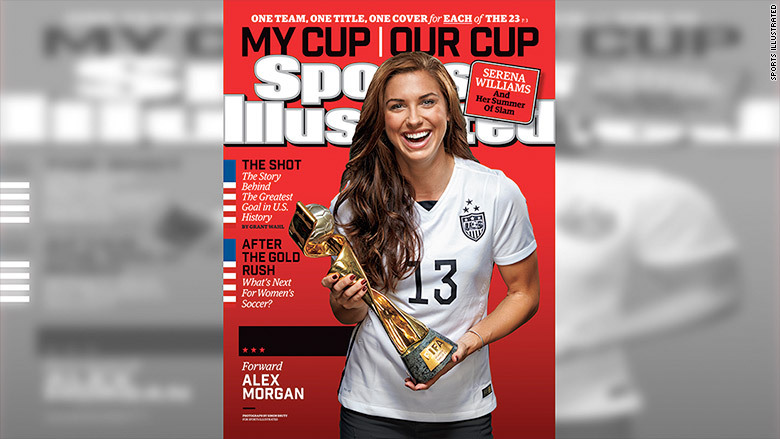 Every single player on the U.S. Women's National Soccer Team is getting her own Sports Illustrated cover. 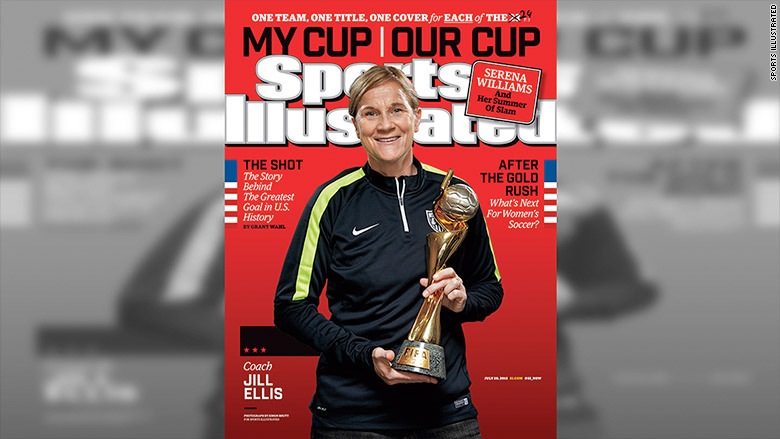 In celebration of the team's World Cup win, the magazine is publishing 25 different covers this week: one for each player, one for coach Jill Ellis, and one small group shot. The covers will start showing up on newsstands on Wednesday. Sports Illustrated called the plan "unprecedented." While magazines sometimes promote themselves and their subjects by releasing multiple covers -- 3 or 5, here and there -- 25 covers takes it to a whole new level. 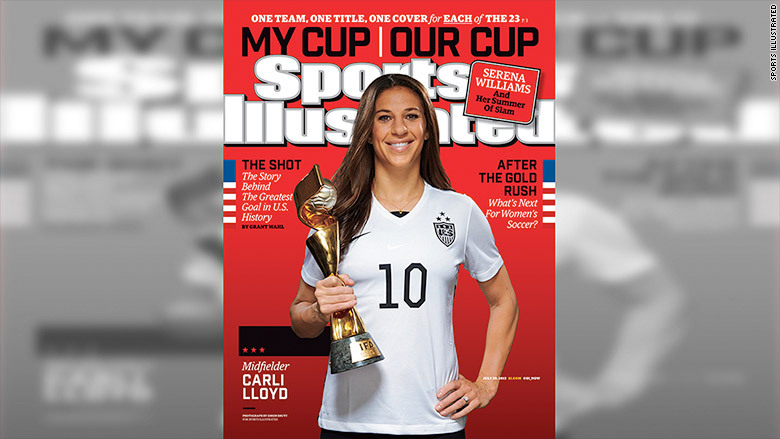 "Each player deserves her own cover, that's what we settled on," SI managing editor Chris Stone said in a statement. The magazine, owned by Time Inc., expects the move to juice newsstand sales. The 25-cover plan was conceived last Tuesday and wrapped up on Sunday night. "By the time we settled on the idea, the team was in L.A. for an event that would end mid-afternoon. The photographer we wanted to shoot it, and who had shot the Finals game, Simon Bruty, was headed home to D.C. It wasn't going to happen on Tuesday. Then New York City delivered, big-time, by planning Friday's parade, which would bring the entire team to a single spot." The various team members were photographed before and after the parade that day. Bruty set up portrait sessions at the "Good Morning America" studios, where players were appearing on TV ,and at City Hall, where a ceremony was held after the parade. Rather than sending different individual covers to different subscribers, the editors decided to put one small group portrait on the editions that will be sent to homes. 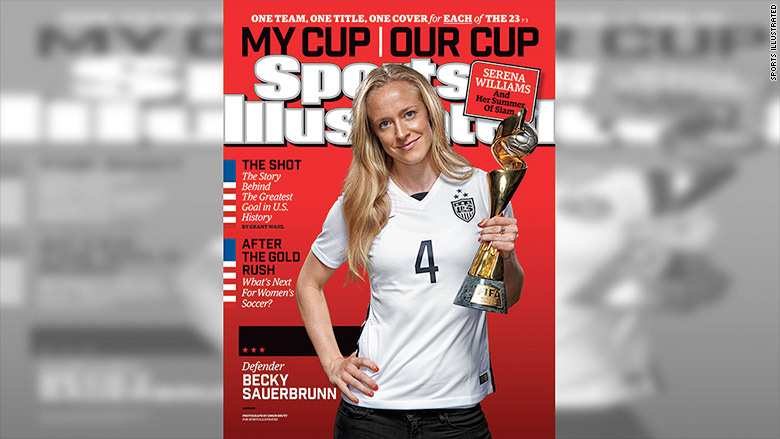 The players on the subscriber cover are Carli Lloyd, Alex Morgan, Julie Johnston, Abby Wambach, Megan Rapinoe and Becky Sauerbrunn.